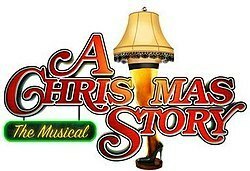 The beloved and hilarious Jean Shepherd’s A Christmas Story is now a musical and will be coming to the Marian Theatre Guild in November! And you’ll find all your favorite characters from the book/movie. Ralphie (who will probably get his eye shot out) is played by Ava Reese. Brother Randy is Isabella Dawes and the class bully Scott Farkus is Nora Wragg. Mother is Caroline Herrera and “the old man” (you notice he really doesn’t have a name) is Adam Pindrock. There’s Ralphie’s friends, his teacher, and of course, Santa too. Come see them all come to life on stage! Director April Vargo agrees that the beginning of “the season” is the perfect time to bring the whole family to A Christmas Story as it will fill people up with the Christmas spirit. “It definitely shows Christmas through the eyes of a child. The mischief that kids get into and their desire to be good so that Santa will visit them is universal,” April said. “It’s really cute to see the holidays and the people themselves from a kid’s perspective.””. Author Jean Shepherd himself was from Hammond and this book is said to be autobiographical. Even the department store in the story was probably Goldblatt’s on Hohman Ave.
April, like most of us, has watched this classic movie over and over again. But now the story’s even more unique with the music that’s been added. “The music is incredibly upbeat, fun, and filled with songs that will definitely get stuck in your head. It’s a super fun show!” she added. And your kids can meet the all the actors after the show. Show dates are Saturdays November 3,10 and 17 at 8:15p.m. Sunday matinees are November 4, 11, and 18 at 3p.m. in the Marian Auditorium at the corner of Lincoln Avenue and 119th Street, Whiting Indiana at St. John School. The Box Office is open from 7p.m. to 9p.m. during the week and credit cards are accepted.